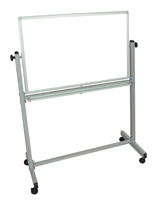 Need a write-on work space that’s easy to move to new locations? 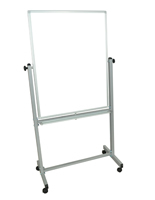 These presentation easels feature either a folding design, a lightweight construction or built-in caster wheels that gives them extra mobility. Each fixture is made from strong steel, aluminum or wood that allows them to be used in high traffic environments like classrooms and conference halls. 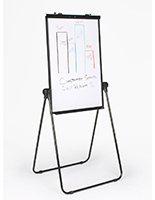 Presentation easels, also called mobile whiteboards, all feature a white wet or dry erase board for markers, while some also include a green or black chalkboard. 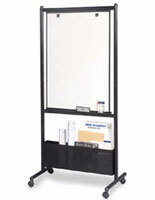 This type of stand can be used as a normal office supply, an education tool or as a way of assigning chores in a household. 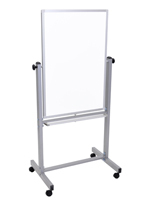 Presentation easels come in a variety of designs for use in many different environments, including everything from professional to recreational use. 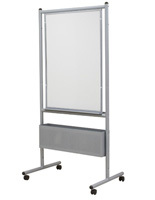 What different styles of mobile whiteboard are available? 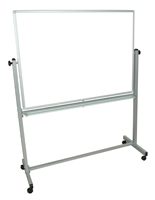 Presentation easels with wheels and an A-frame fabrication are ideal for both business and educational environments. These models feature a stable design that prevents them from being accidentally knocked over. Their (4) swiveling caster wheels make transport to other rooms simple and hassle-free. 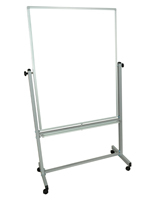 Each A-frame has (2) angled surfaces and can come with an inner tray for holding office supplies and writing utensils. These are made from strong aluminum with either a black or silver finish. 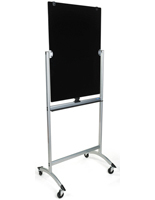 Presentation markerboards with wheels are also available with a flat, double-sided surface. 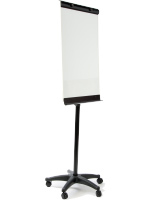 These offer either a neutral black steel or silver aluminum frame for blending with any décor. 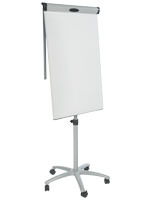 Some units offer a tilting writing surface that can flip to show writing on its back. 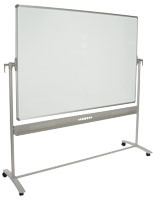 While mobile whiteboards in the “Nexus by Ghent” series do not have a movable write-on area, they can accommodate smaller marker board attachments. By adding or removing these tablets, their writing area can easily be expanded or compressed. Some Nexus models include a storage area for holding extra write-on attachments. 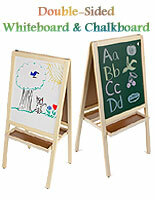 Mobile whiteboards for children feature a wood construction with a natural or brightly colored finish. These fixtures feature an A-frame design and each side has a different surface. 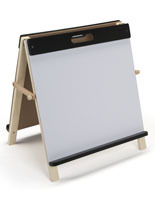 One side is a black or green chalkboard while the other is a white board for wet or dry erase markers. 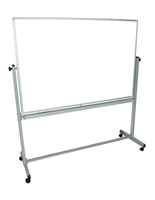 Great for any classroom, these stands can also be seen in kid’s bedrooms and recreation areas. 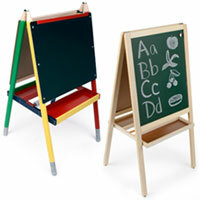 Presentation markerboards with a chalkboard surface often include a lower storage area for keeping toys, erasers and writing utensils. 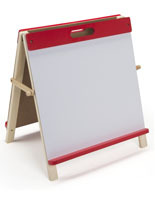 These simple boards are an excellent addition to preschool classrooms and daycare centers. 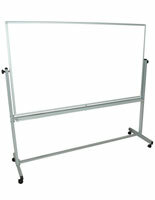 Teacher easels like these are ideal for sharing information in many settings. 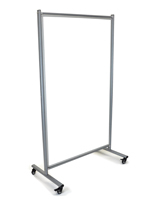 Steel and aluminum models are made for use in the home, workplace and conference halls while the shorter wooden stands are suited for children in schools and daycares. 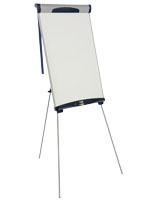 Each chalkboard or dry erase fixture is unique and comes with its own features to meet any need. 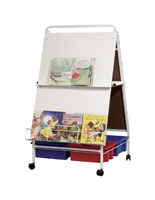 These include a folding frame, a storage tray for markers, a swinging board, swiveling casters, a magnetic writing area, a carrying handle and even the ability to support attachments. Search our massive inventory and order online for wholesale pricing on CorkBoards2go.com!